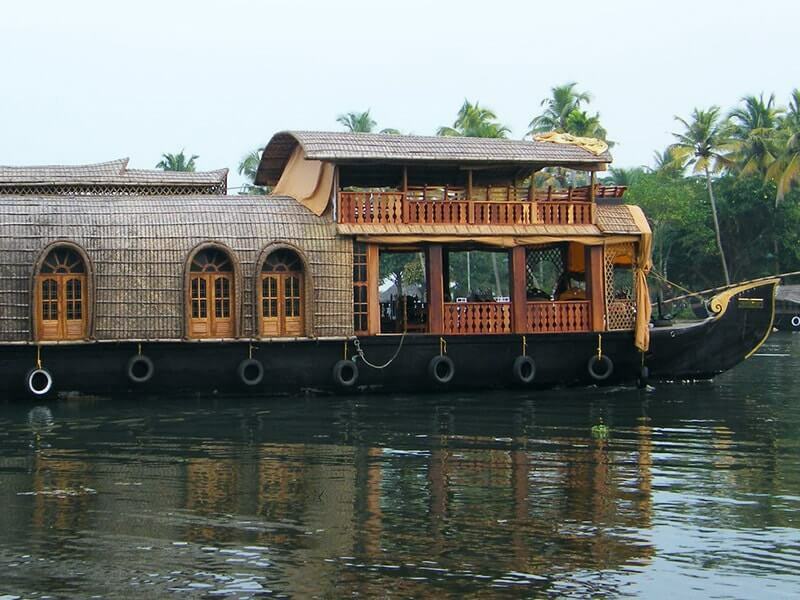 Kerala Houseboats are simply a re-worked model of the Kettuvallams, traditional rice barges are made by tying jackwood planks together with coir rope, and then coating them with black resin made from boiled cashew nut shells. 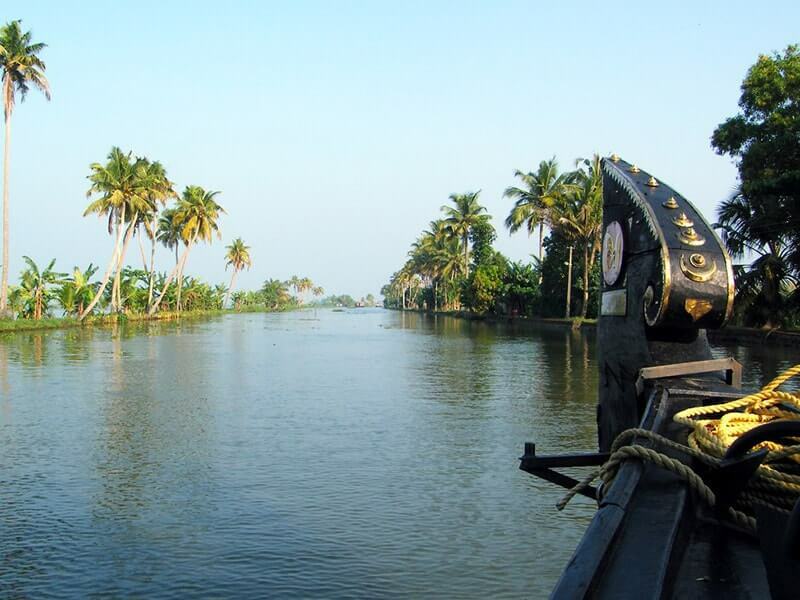 Kerala Houseboats were considered the most convenient means of transportation in the absence of any meaningful roads in Kerala’s backwaters. 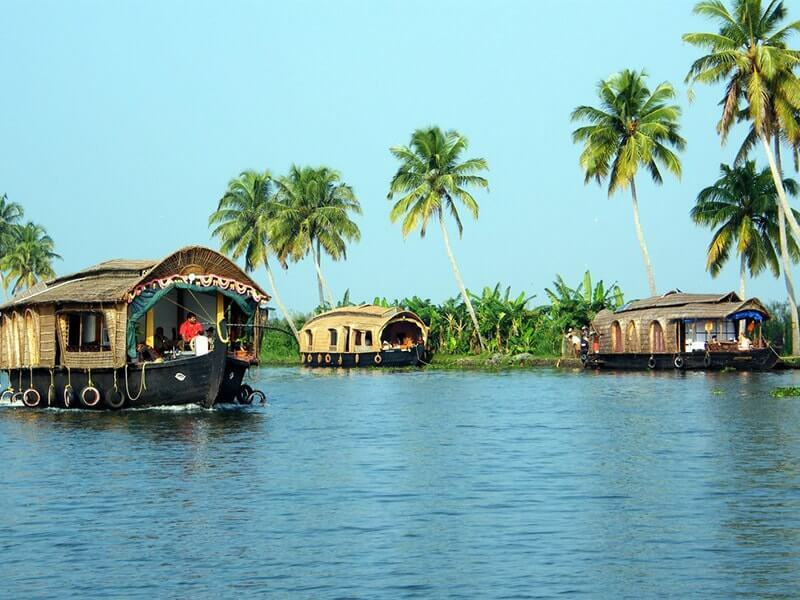 Travelling along the complex network of brackish lagoons, lakes and canals is an excellent way to explore the region at a leisurely pace, taking in wildlife sightings and greeting locals as you go. 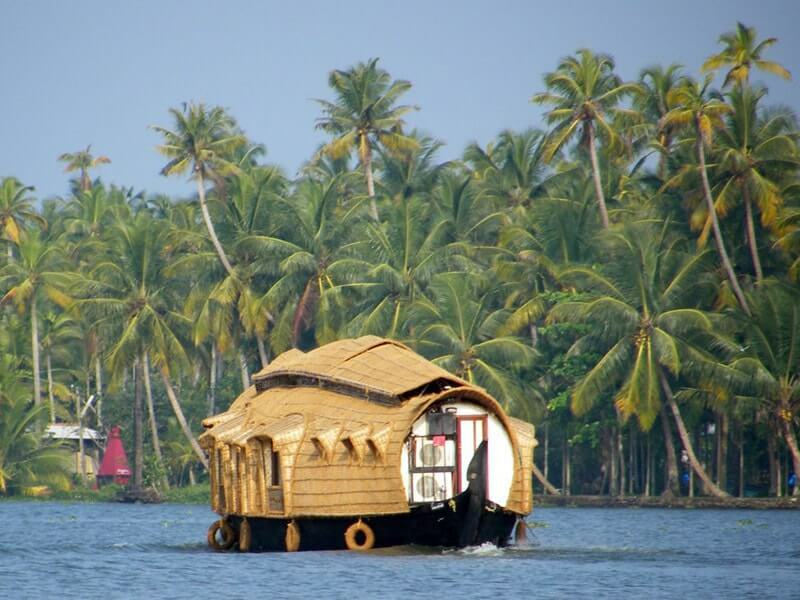 Kerala Houseboats have most of the creature comforts of a standard hotel: well-furnished bedrooms, modern hygienic toilets, a well appointed living room, an open lounge area, a beautiful kitchen and in some cases even a balcony for angling. 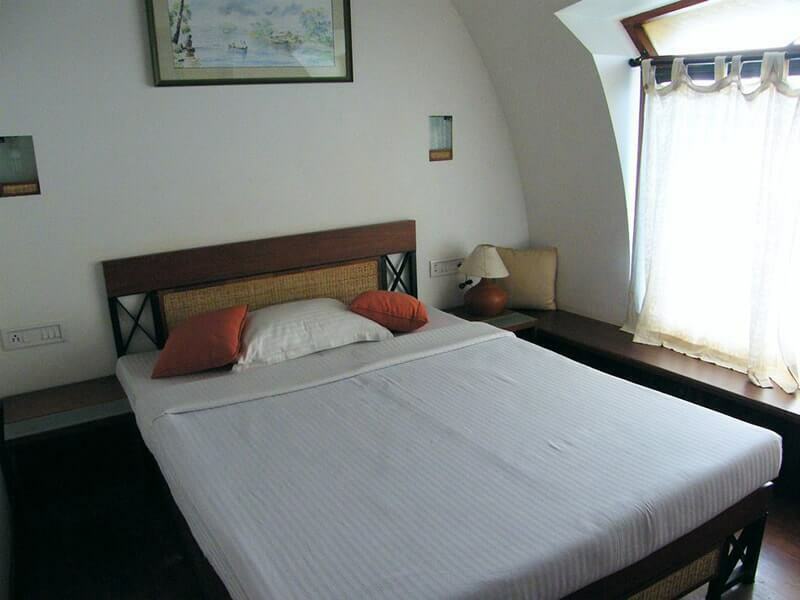 They usually feature one or two en suite bedrooms, making this a very personal and intimate experience. 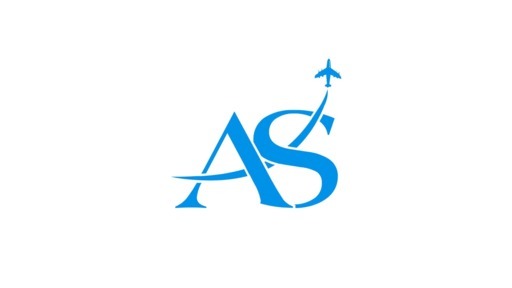 Cold showers are available, and the crew can provide you with a bucket of warm water on request. 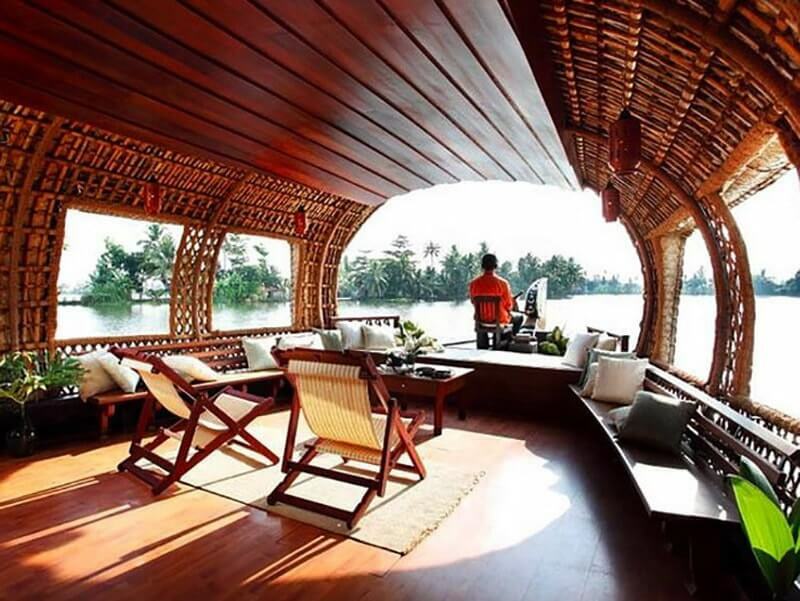 Windows and other openings were provided for light, airflow and view. 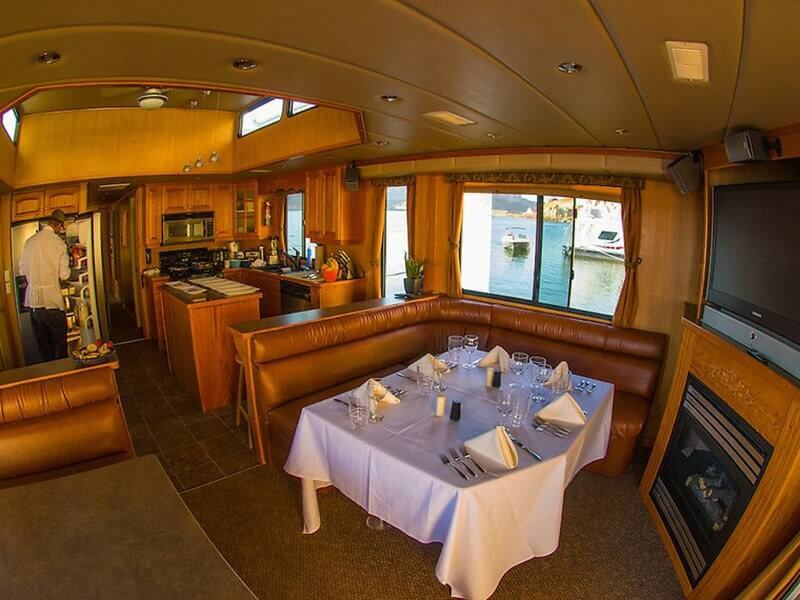 A chef will be on board your houseboat to cook breakfast, lunch and dinner. 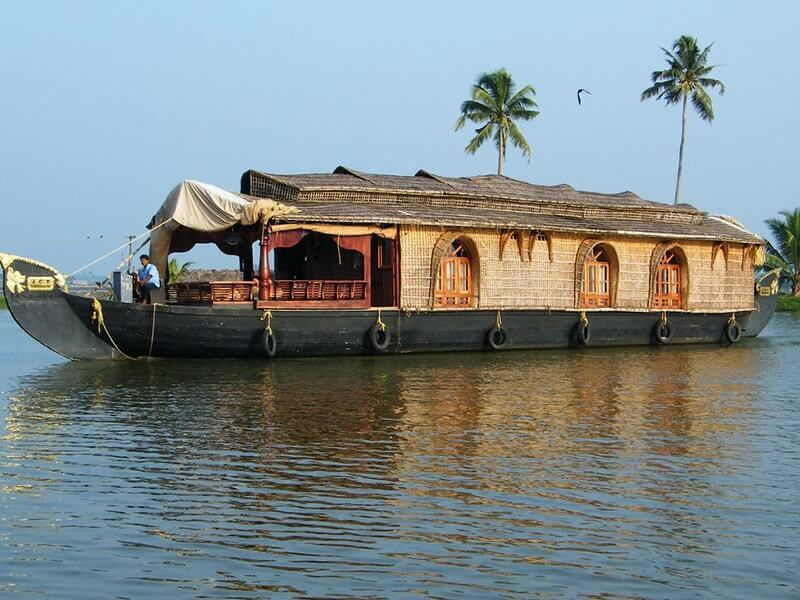 House boats are available at Thiruvananthapuram, Kollam, Kottayam, Allappuzha, Ernakulam, Thrissur and Kasaragod. 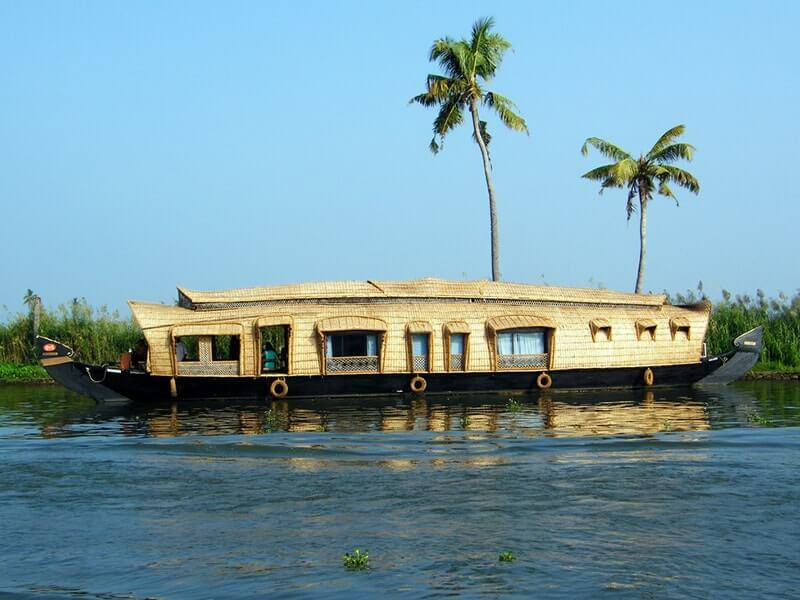 Day trips run from around midday until 6 p.m. Overnight houseboat is also available.